Facebook isn't exactly known as a hardware vendor, but after joining forces with HTC way back in 2013 on a short-lived smartphone and supporting daughter company Oculus in its efforts to make virtual reality mainstream since 2014, the social networking giant unveiled its first products developed and manufactured in-house last fall. The Portal and Portal+ smart displays came out mere weeks after Amazon's second-generation Echo Show, beating the Google Home Hub to the announcement punch but actually kicking off their US shipments on the heels of the search giant's first self-branded smart speaker with a screen. Unfortunately for Facebook, Amazon and Google have both managed to make serious waves in recent months with significant discounts and freebies frequently offered on the "all-new" Echo Show and first-ever Home Hub. 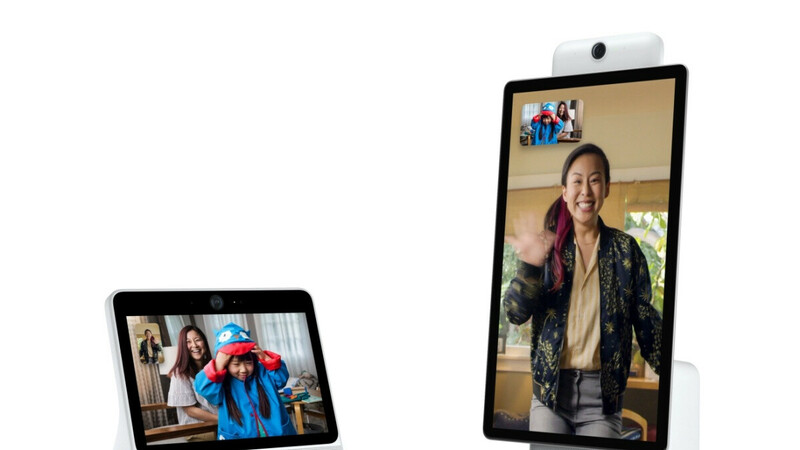 At long last, the Facebook Portal duo is today entering this price war with a cool $100 reduction for both models. As a special Mother's Day offer, the deal will be available on the manufacturer's official website dedicated to these two devices, as well as at Best Buy and Amazon, all the way through May 12. Instead of dropping an arguably excessive 200 bucks on a Portal with a 10.1-inch display, you can now pay just $99 for a single unit. Or you can cough up $348 and get a Portal and a Portal+ at a combined discount of $200. The same $200 markdown applies to bundles of two jumbo-sized Facebook Portal+ units, reducing your order from $698 to $498. Finally, if you're interested in just one Portal Plus device with a massive 15.6-inch display, you're looking at a significantly more reasonable $249 expense compared to the big guy's $349 list price. Keep in mind that the screen on the Portal+ is both larger and sharper than its little brother's, at 1080p resolution, also rotating portrait to landscape for extra versatility. Unsurprisingly, the bigger smart speaker comes with more powerful sound as well. Otherwise, the two are obviously identical, supporting hands-free video calling with Alexa's help and boasting Smart Camera and Smart Sound technologies that set them apart (at least in theory) from the competition. Speaking of the competition, we should probably point out the Google Home Hub costs $129 at its manufacturer (with a 7-inch screen and no camera), while the second-gen 10.1-inch Echo Show currently sets you back $190 on Amazon. That makes these Portal deals quite compelling, don't you think? and it's Facebook, I would not get it even if it would be for free. They sell everything about you to highest bidder. Thanks, but no thanks.